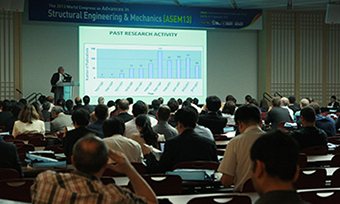 The series of ASEM Congress (The World Congress on Structural Engineering and Mechanics) is designed to provide an excellent forum for researchers and engineers in the areas of Structural Engineering and Mechanics to exchange the information on the current state of technologies with emphasis on new theoretical advancement and innovative applications. Thus the Congress covers a wide variety of new developments in the emerging technologies in the areas such as computational mechanics, multi-scale and multi-physics mechanics, smart structures and systems, new structural materials and so on. 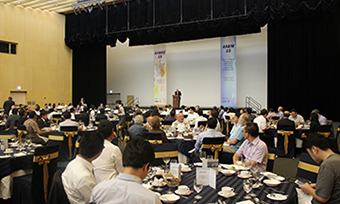 The first international meeting organized under the initiative of the Structural Engineering and Mechanics Group of Korea Advanced Institute of Science and Technology (KAIST) was the "The First US-Korea Joint Seminar on Emerging Technologies in Structural Engineering (1989)" that was held alternately in the US and Korea each year. With the increased number of participating countries and the establishment of partnership with “Structural Engineering and Mechanics, and International Journal” of Techno-Press, the joint seminar evolved into an International Conference (The International Conference on Advances in Structural Engineering and Mechanics) in 1999. 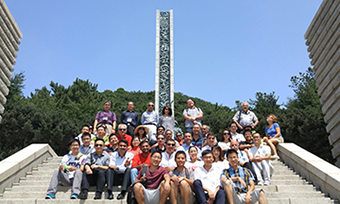 And as the scope of conference continued to expand, the "World Congress on Structural Engineering and Mechanics (ASEM)" was organized to accommodate the conferences of different disciplines (2011). The Congress is now being organized at different locations in every odd number year (2013, 2015), and its 6 international conferences are associated with their partner journals of Techno-Press, such as Steel and Composite Structures, Computers and Concrete, Smart Structures and Systems, Multi-scale and Multi-Physics Mechanics, Earthquakes and Structures.